Ever wondered what to do with your favourite single sock. 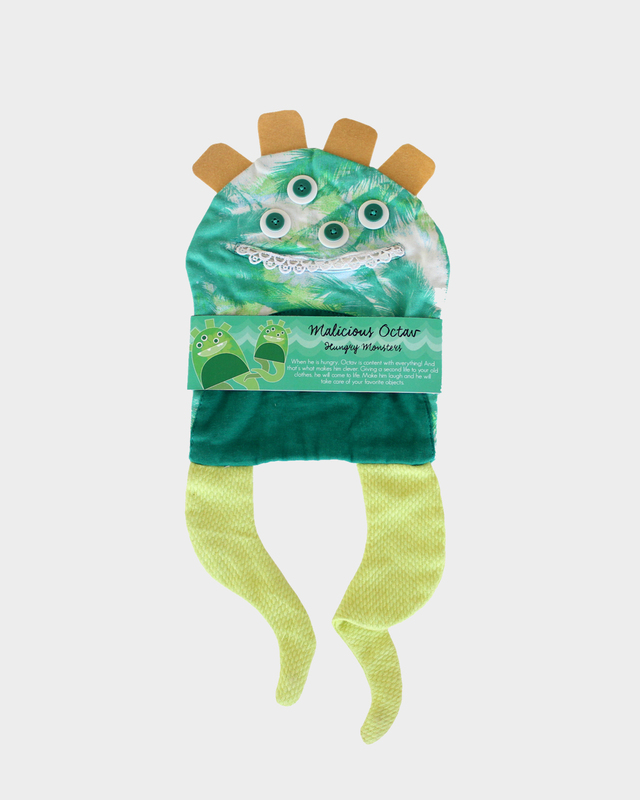 Feed Octav, the hungry monster, and watch him take shape. Comes with a fabric sling so Octav can be carried along with ease. Makes for an ideal play toy, doubling up as a stylish sling bag for kids. Meet Octav. 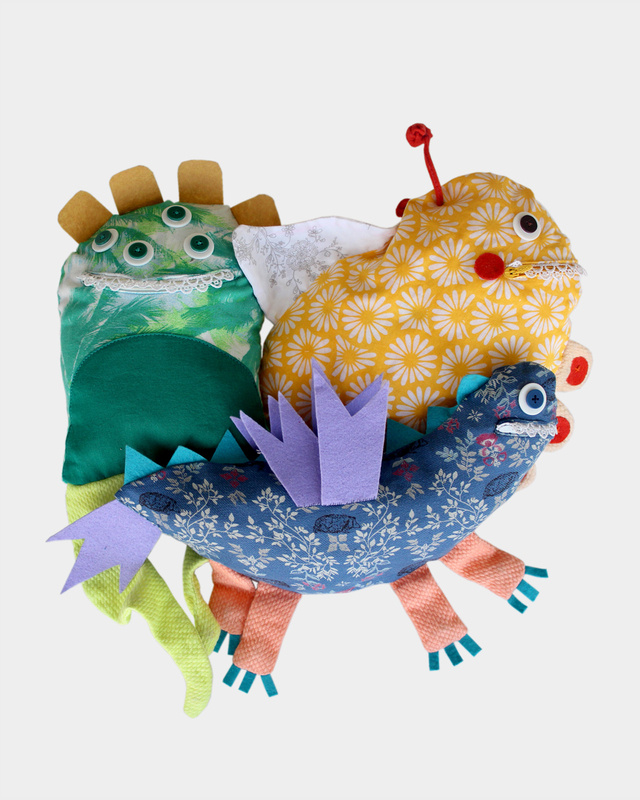 A fancy back pack for kids designed to take the shape of an adorable monster. Octav was born out of inspiration from kids’ hand-drawn sketches of unique creatures of their imagination. Octav looks adorable and cuddly on the outside. But don’t let those looks fool you, for insider him lies an insatiable hunger. So go ahead, and fill him with stuff. That’s the only way to keep him happy and her monstrous hunger in check. And here’s some very good news for you. Octav isn’t picky at all about diet. He’s happy to have just about anything and everything. Feed him some of your old and unused clothes and he’ll happily gobble them to turn himself into a toy. Feed him things and objects and he’ll happily keep them in his tummy, making him a ever so useful back pack for your little ones to carry their precious belongings with them. Be sure to check out Octav’s siblings – Fanny and Lisa, and you’ll be just as surprised to find that their super adorable looks go hand in hand with their ravenous hunger. So go on, if you’re looking to buy unique gifts online for children you know you’ve come to the right place. For Octav and his siblings will be their best companions, spreading joy and cheer! You can buy unique and creative products from Gemklip.com here, as well as from amazon.in and flipkart.com. Be sure to use the search word “Gemklip” to find all our products. Be sure to click here to find out how Octav was developed.